Of course I already spent a big amount of time in-game, slowly building up this city (and I mean slowly), taking advantage of the huge room for creativity this game allow us to. 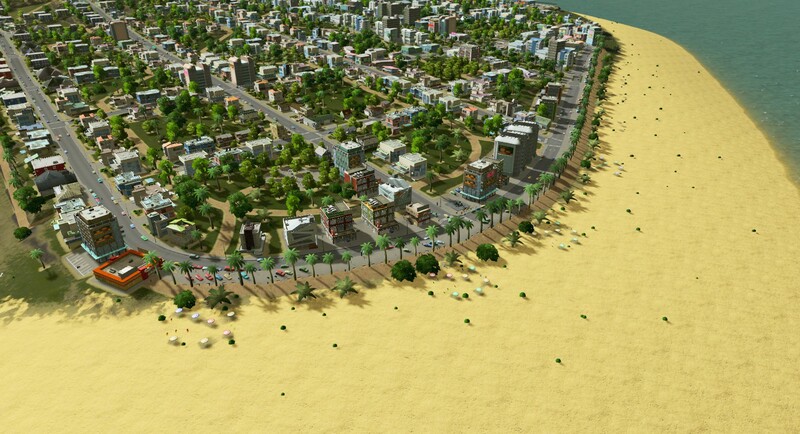 The City is yet quite small, for the time I’ve been playing its yet in the 36 thousand population size, definitely I spent most of my time in-game mesmerized, watching the flow of traffic, day-dreaming, planning of future expansions and cooler designs. 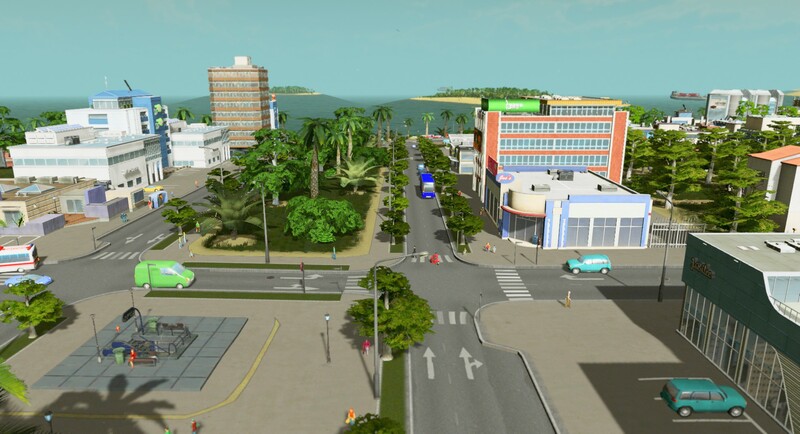 It would be too long of a post and I have just too much too say about it all, So I’m doing this little series to give a little bit of detail of certain parts of the city and certain custom creations of mine. So let’s get on to it already! First lets begin by arriving in the city, this is the first intersection with the highway, I’ve slightly altered it to allow rail passing close to it. 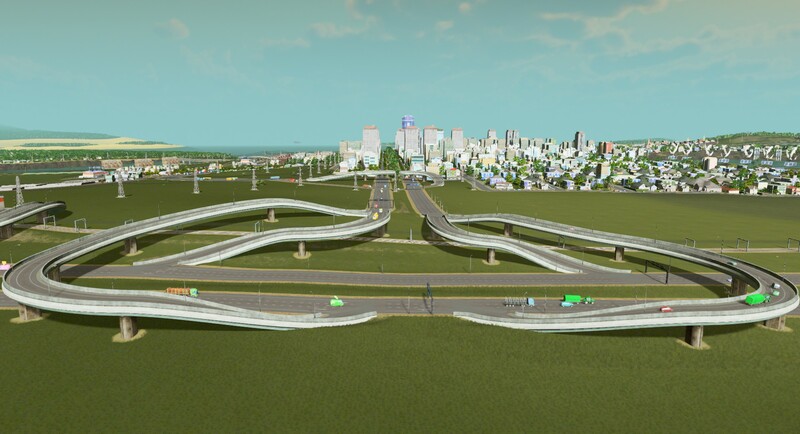 It turned out to be shaped like a heart, so I call it the Heartway intersection (-_-‘) i know). 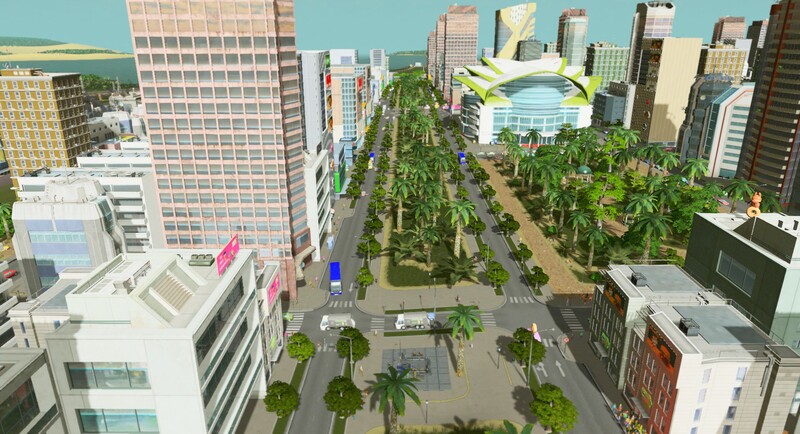 Heading downtown, I’ve decided to keep the parallel one-way road all the way through the city, and have to say it looks very cool, I call this the Central Strip. To the right there you can see the Central Park, a big block of greenery right in the densely populated centre of the city, along with the Convention Center next to it. Heading further you reach the end of the strip, with a big round park called the Cardinal Rose, it branches off to major areas of the city. The University sits right here, and right ahead you can see the Palms Beach neighborhood and the Ocean. We’re almost there, the parallel road carries on through all of the city until it reaches the sand, we can already smell it, hear the waves. Ah! We finally arrived, the sea, the sand, green buses, cargo ships in the horizon, controlled use of recreational substances… This really feels like a beach. 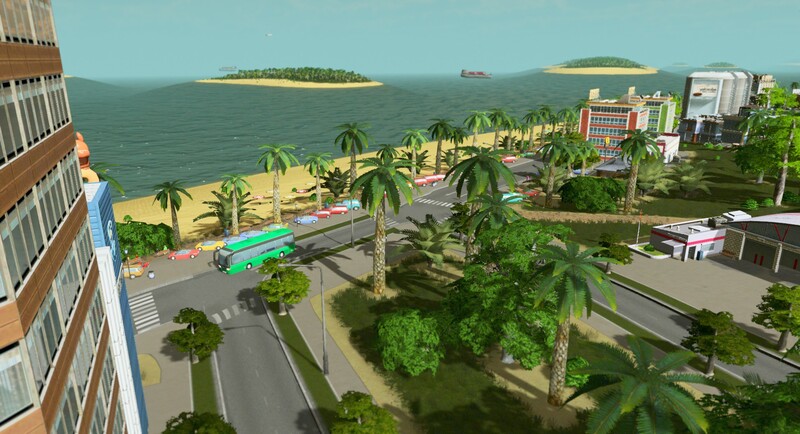 Big walkways (or boardwalks if you may), with palm trees lining all the way around it, cars parked all the way too, benches overlooking the sea and outdoor umbrellas all around the sand. Its a bit far from the water, I’ve got to admit it, but hey, I hear it has to do with the seasonal moon tides, and also a safe precaution against big waves too. 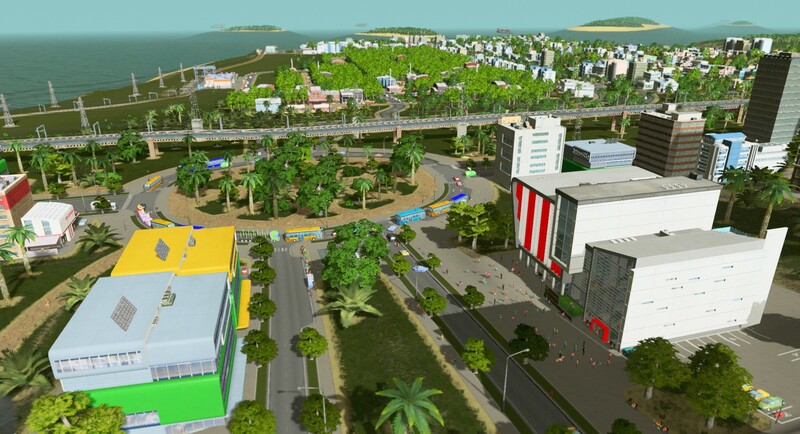 A little overview of how the neighborhood turned out, lots of green spaces parks and pedestrian paths. 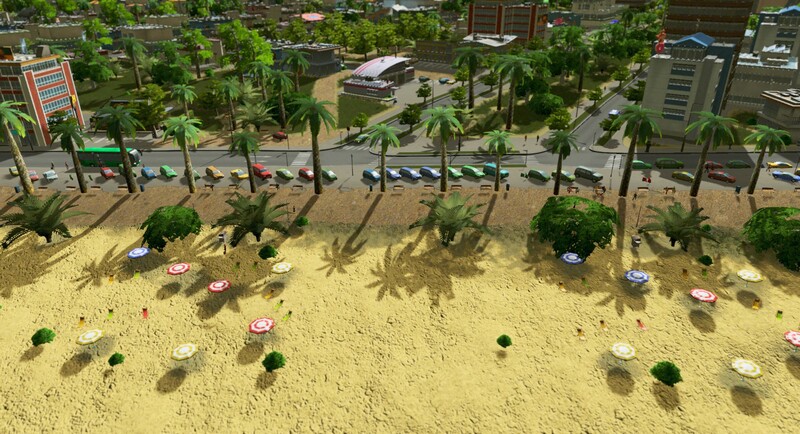 A little more detail to the beach parks, I’ve made these 4×6, some patio umbrellas a pool chairs, unfortunately people won’t use those, but they do sit on the benches. 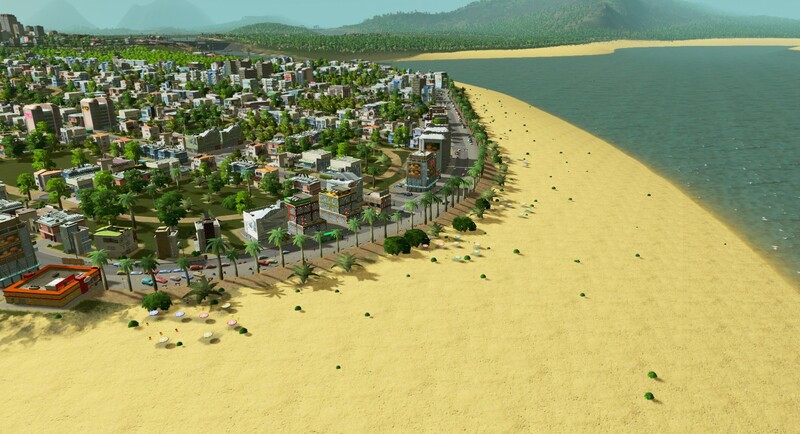 These parks have a big radius of effect and regular leisure improvements, but you’ll be placing a bunch of them together so the area is pretty taken care of, they also attract a lot of tourists, as you would expect from beaches. 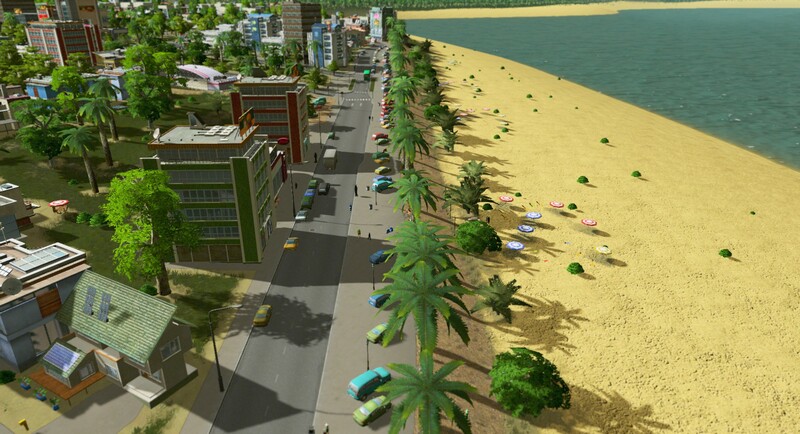 I’ve also made custom walkways only, with benches and parking for cars, just to connect you beaches around and make it look like just one part. 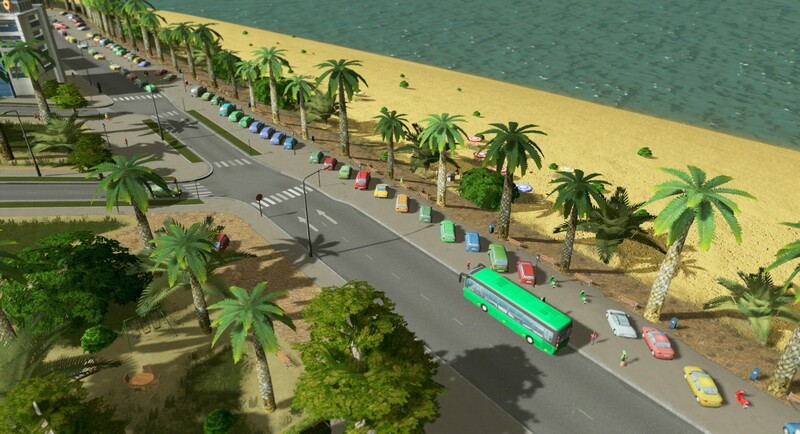 These however don’t provide improvements at all, they’re just for decoration and connection of the beach parks, but people still use the parking spaces and paths. You can directly connect paths in and out of parks, making it really easy so it looks like just one big walkway around the beach. Beach Park and Beach Walkway. Next Next post: Play Fallout: New Vegas on Linux!